Last week, RuPaul shocked the final three contestants (Sharon Needles, Chad Michaels, and Phi Phi O’Hara) as well as the audience by breaking tradition and withholding the winner of the competition. Ru’s reasoning behind the switcheroo echoed the sentiments of millions of fans everywhere: the finalists this time around were simply too “fierce” to easily select a winner. Basically, you have Chad Michaels, who exudes talent as well as a professional and experienced background. Then there is Phi Phi O’Hara, the young queen who might come across as an amateur to some, but has the stamina and drive of a superstar in the making. But despite the attributes of those two contestants, Sharon Needles trumps both Phi Phi and Chad in all their qualities as well as the fact that she is just simply unique. Yes, all the other contestants had their own distinct characteristics and quirks, but none of those girls would have ever had the nerve to mix RuPaul’s song “Cover Girl” and a blood sacrifice in the same sentence/challenge. In fact, the other queens pretty much gave somewhat “safe” performances during the challenges this year, while Sharon always gave the judges a memorable character whether she won that specific week or not. Despite being labeled a “one look” Sharon Needles took that critique and used it to her advantage, making all the other contestants step their game up, even if they were reluctant to admit it. For example, in the RuPocalypse challenge (which was basically the “drag on a dime” scenario with another theme added to it), most of the outfits presented could have been made by any of the past contestants of the show. On the flip side, Sharon’s total embracing of the apocalyptic theme, all the way down to using prosthetic blood to sell her look, showed that she was not scared to get dirty by thinking outside the cute makeup box most of the queens stubbornly live in. It was also when I knew Sharon would be a bona fide force to reckon with. Another example why Sharon should take home the crown? The dog challenge, in which Sharon gave three different looks to the judges. Even though some of her looks were somewhat out of her comfort zone during the challenge, they still screamed “Sharon Needles” at the end of the day. This, as well as other reasons that I could spend all night writing about, is why Sharon Needles needs to join Raja, Tyra, and BeBe as America’s Next Drag Superstar. 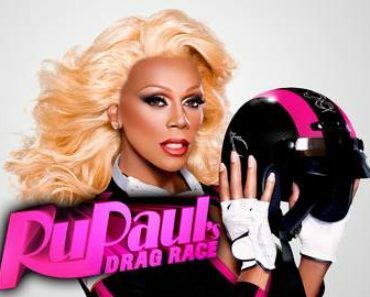 Out of all the contestants on RuPaul’s Drag Race this season, I was drawn to Sharon and her knack for the odd and unusual, as well as her charm and unabashed, yet positive, take on life itself. Her Marilyn Manson-esque shock goth look might turned off most people this year, but if it did, then you truly missed out on a genuine person, who should most definitely walk away with the crown. This brings me back to my intro where I mentioned having lost faith in Sharon Needles due to a nasty rumor floating the Internet. 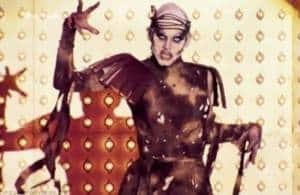 Apparently, there was a post somewhere that was allegedly written by Sharon Needles where the “N” word was dropped and Sharon defending her use of it. I’m not going to lie, but after hearing and seeing that post, I felt as if I was finding out that Santa Claus wasn’t real all over again. My heart was broken, because I rooted for Sharon Needles from day one and didn’t want to think of her as an ignorant bigot, especially after seeing on a weekly basis that she was seemingly anything but. However, deep down inside, something was telling to not lose faith in Sharon. Something was telling me that the person who I had grown to admire and respect in a short amount of time was still the great human being I had pegged her as from day one. I never doused that little flame inside rooting for Sharon Needles and thank God I didn’t. On Facebook today, Sharon made a post on the allegations against her in the most respectable and professional way possible, and I couldn’t help but yelp in excitement as if the Memphis Grizzlies had won the NBA Finals this year. To see what Sharon Needles said about the lies against her, click here. 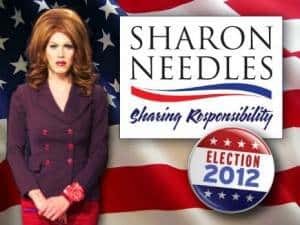 Otherwise, just know that the one queen who should be walking away with the title of America’s Next Drag Superstar and $100,000 is the one and only Sharon Needles. I just pray RuPaul and the rest of America thinks the same way. 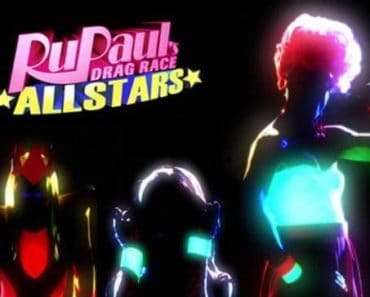 RuPaul’s Drag Race: All Stars – Are These Queens Your All-Stars? UPDATE: Yes They Are! 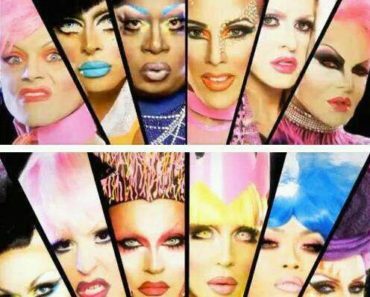 Watch RuPaul’s Drag Race Celebrate 100 Episodes! You Bet It Werks!